See that concentration of place markers in the lower left? That’s where the kosher food is. It’s about the only place where the kosher restaurants are, in the area. The restaurants aren’t exactly as fancy or as nice as you’ll find in New York City, but that’s okay because of this. There’s a deli where the names of the sandwiches are locations in New York, an obligatory kosher pizza place, and a bunch of hummus and falafel-type places . . . of the stereotypical kosher food variety, and all in Brookline, MA. Minyanim (places to pray with a group) are also in that concentration of dots near the kosher food, including the Bostoner Shul, a Young Israel, and another shul or two in the same general area. Boston is very accessible by subway, but if you want to stay near the kosher food and synagogues, we were happy with the Holiday Inn in Brookline. It’s a relatively inexpensive hotel, and by no means the fanciest, but it will do. They have internet in every room, two queen size beds (the suites seem to have less beds?! ), and Shabbos-friendly rooms. Most rooms open out to their large lobby (even ours, on an upper floor did so) similar to the layout of a typical Embassy Suites, only less fancy. 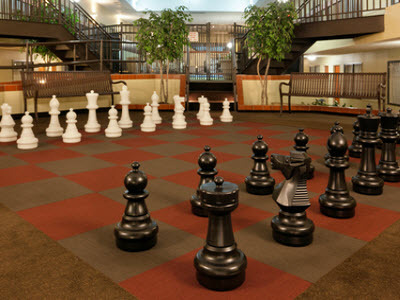 In the lobby they have an oversize chess board which is fun, as well as a small pool and hot tub. We were there in winter, and as the pool is right in the lobby, it was pretty cold. Except for my one polar bar son (see Deal, NJ beach article) who liked to build up his tolerance to switching as fast as possible between the hot tub and pool, the rest of us just stayed in the hot tub. Also note that the pool is viewable from the rooms, making it quite public. Boston has it’s own airport, or it’s only about a four hour drive from the New York area. 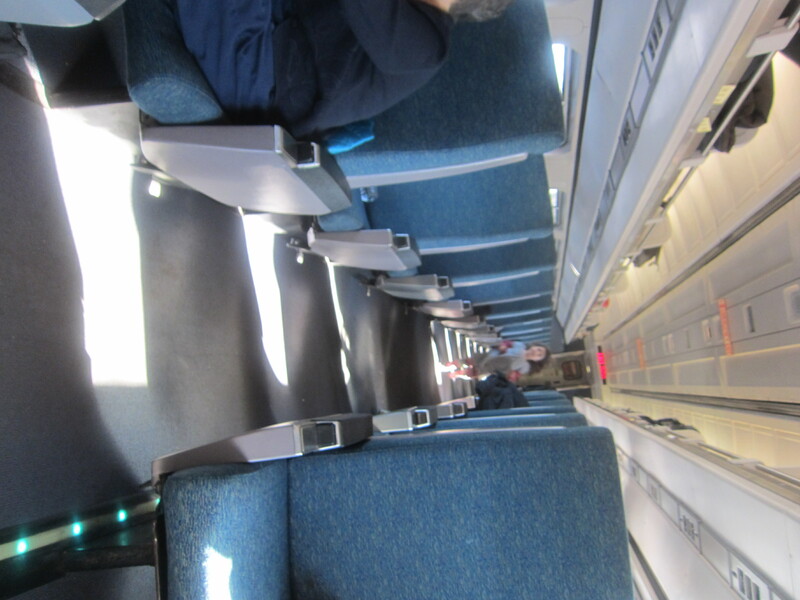 It’s also conveniently accessible on the Northeast Regional Amtrak line between Boston and Washington, D.C. The drive isn’t bad, but the train is much more relaxing. You hop on and hop off, and the train ride itself is part of the adventure for the kids. They love it, and you get there rested. It takes about the same amount of time via regional train, as driving, though you have to factor in extra time to get to the train station. Visit Part II – Boston Vacation – Places to Visit. In Brookline, two blocks from the Holiday in there is also a Courtyard by Marriott. Besides the six kosher restaurants, kosher market/deli, and bakery and butcher in Brookline, there are kosher options in downtown (Milk Street Cafe, Crumbs bakery) and Newton (Taam China, Rosenfelds Bagels, Dushez Cafe, JP Licks), as well as kosher supermarket bakeries and meat throughout the area (Brookline, Newton, Sharon, Stoughton, etc.). There are over 20 active shuls in the area including Brookline, Brighton, Newton, Cambridge, Sharon, Malden and Lynn (and with Chabad, at least a dozen others). Boston isn’t “golus” – there are lots of Jews outside of New York, also.